You have emails to respond to, things to take care of, and places to be! New Outlook features—across Windows, Mac, web, and mobile—help you manage your time and keep what matters most front and center. Also, new features—coming soon in Outlook for iOS and Android—will connect you to the people, apps, and technology that power your productivity and help protect you and your business. Bill pay reminders—We are adding bill payments to the events we automatically help you track. Just like travel reservations and package delivery information presented in Outlook with a summary card at the top of your email today, we added support for bill payments. Outlook will identify bills you receive in email, show you a summary at the top, and automatically add a calendar event on the due date. You will also receive an email reminder two days before the due date so you can always pay your bills on time. Available for Outlook.com. Suggested event locations and meeting rooms—Adding a meeting or event location just got easier and faster in Outlook. Even before you start typing, Outlook offers suggestions for your meeting location, including recently used (and available) conference rooms and other common locations such as “my office.” Once you start to type in the location field, Outlook suggests options based on Bing and then autocompletes your meeting location with the necessary information. For public locations, the rich location feature in Outlook adds the full address to your Outlook calendar event. Outlook for iOS will then use your current location, your destination address, and traffic updates to send you a notification to let you know when it is time to leave for your next event, to make sure you get there on time. Available in Outlook for Windows. We also added this location and context aware approach to further personalize the suggested locations when creating a calendar event on your mobile device. 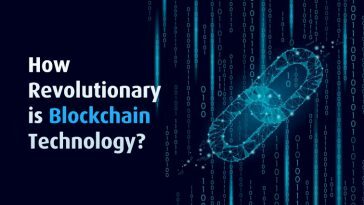 Suggestions are based on machine learning models that take into consideration your location, the list of attendees, the proposed meeting time of day, and other elements of your meeting. If you need a conference room, Outlook shows your organization’s room availability, so you can pick the best option for your meeting with just a tap. Reserving a meeting room from your mobile device will continue to get easier and faster as it learns your preferences. Available in Outlook for iOS. Meeting RSVP tracking and forwarding—Keeping track of events you’ve organized or plan to attend is key to time management. But managing who is attending can be even more effective for everyone. 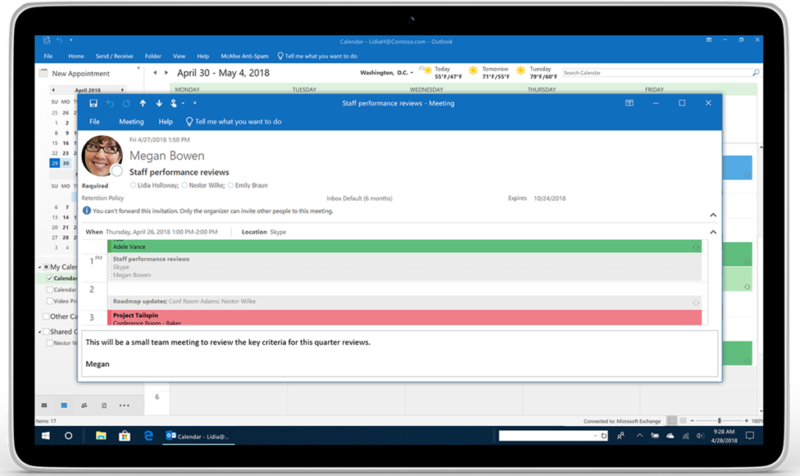 Outlook now allows you to see the tracked responses and RSVPs for your meetings—even the ones you didn’t organize. With this insight, invited attendees can better manage their time and decide if they should attend based on the plans of others. 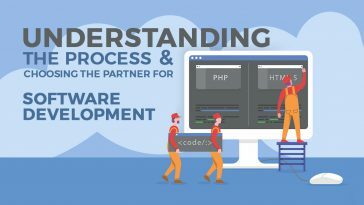 For example, knowing who’s going can save you some time if you decide the meeting can be addressed by other teammates who are planning to attend. 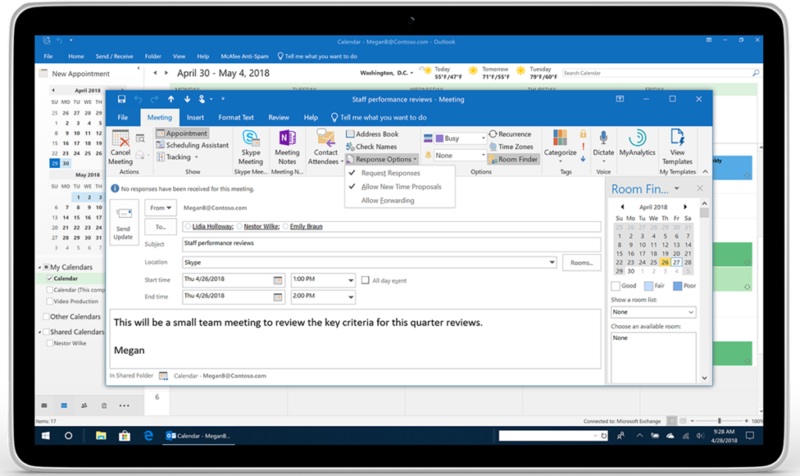 Additionally, if you are planning a meeting that requires a tight control of the attendee list, Outlook gives you the option to allow or prevent the forwarding of your calendar invitation. Under Response Options, select New Meeting and then check or uncheck Allow Forwarding. Available in Outlook for Windows and Outlook on the web. 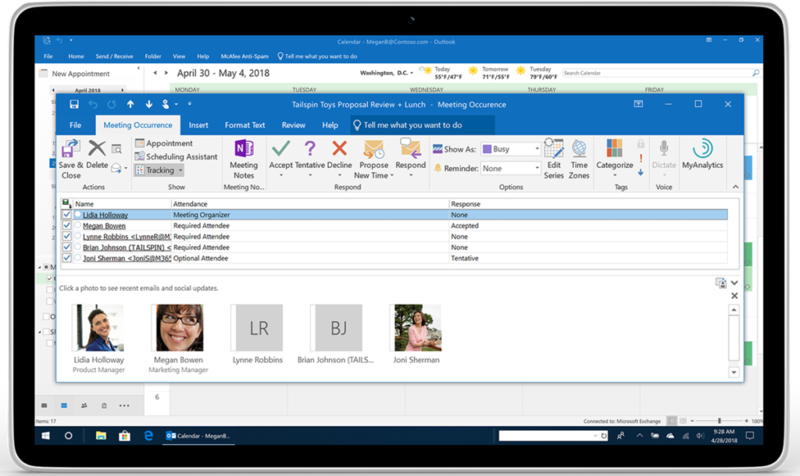 Outlook has also adjusted the tracking of RSVPs for meetings with large attendee lists or big meetings. If you use a distribution list to reach over 500 recipients, Outlook now tracks the responses for everyone individually. 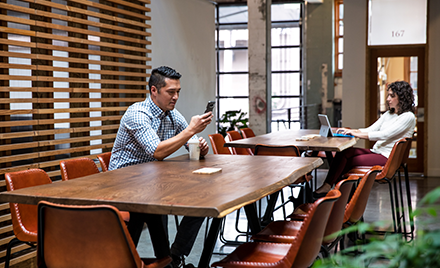 Now you can update the details for big meetings at any time if changes are required, outside the Office 365email and calendar recipient maximum of 500. Available across Outlook. 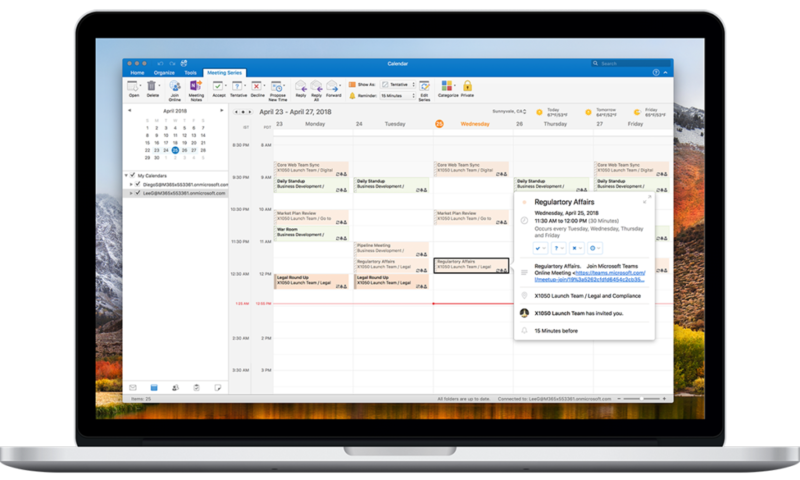 Multiple time zones—Outlook reduces the complexity of managing events across times zones. You can now define the start and end times of appointments and meetings across different time zones. Set up a travel event with your departure in one time zone and arrival time in the local time zone of your destination. Plus, on the main calendar grid, you can now show multiple time zones in Outlook. In Windows, you can add up to three time zones under File > Options > Calendar Time Zones. In Mac, add one additional time zone under Outlook > Preferences > Calendar Time Zones. For Outlook on the web, click the Time Zone drop-down arrow in your Calendar meeting invite to add an additional time zone. Now, at a glance, you can simply understand what’s happening and when around the globe with Outlook. Show organization directory details—In case you missed it, Outlook now adds the details of your organization directory to your Outlook contact information. We recently announced this new feature under Show Organization, so you can quickly learn who’s who in your company. 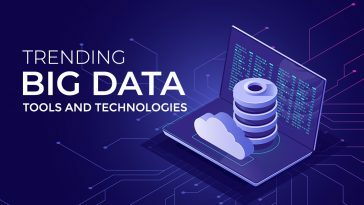 If your company data is connected to Azure Active Directory, you can see who your contact reports to, their chain of command in your company, and even other colleagues they work with most. Knowing more about who might help you take care of business is right there in Outlook. You can simply tap search in your Outlook mobile app once to quickly identify your key contact, open their contact card, and view their organizational information. Available in Outlook for iOS. Proxy support—Some organizations have adopted the use of proxies to block direct access to the internet from mobile devices. Now Outlook supports companies that use SOCKS proxies for added protection between their company data and the internet. Available in Outlook for iOS and Android. Bcc warning—On occasion, you may be blind copied on an email message and you’d like to respond. Just in case you didn’t notice the subtle addressing, Outlook protects you if you reply to that message by alerting you that you were blind copied—you might choose not to reply to everyone on the recipient list but only reply to the sender, with all due respect. Available in Outlook for Windows. Sync draft folders—We’re adding the ability to draft a message in Outlook on one device and finish it on another. Start a message on your mobile device and finish it when you’re back at your desk—or the other way around! Outlook helps you get things done when the time is right for you. Coming to Outlook for iOS May 2018. Available in Outlook for Windows, Mac, and Android. Office Lens technology in Outlook for Android—When you need to capture and share details in the form of an image, such as a whiteboard, photo, or document, we’ve added a new photo icon to Outlook integrated with Office Lens technology. Simply start a new message in Outlook and touch the new photo icon to capture a whiteboard, document, or photo and get a trimmed and enhanced image instantly embedded in your email message. Outlook integrates the apps and services you need to be productive, so you can quickly and easily share what you need, when you need it, with fewer taps and apps! Coming to Outlook for Android May 2018. Quick reply—We’re making it easier to respond quickly and more meaningfully in Outlook. 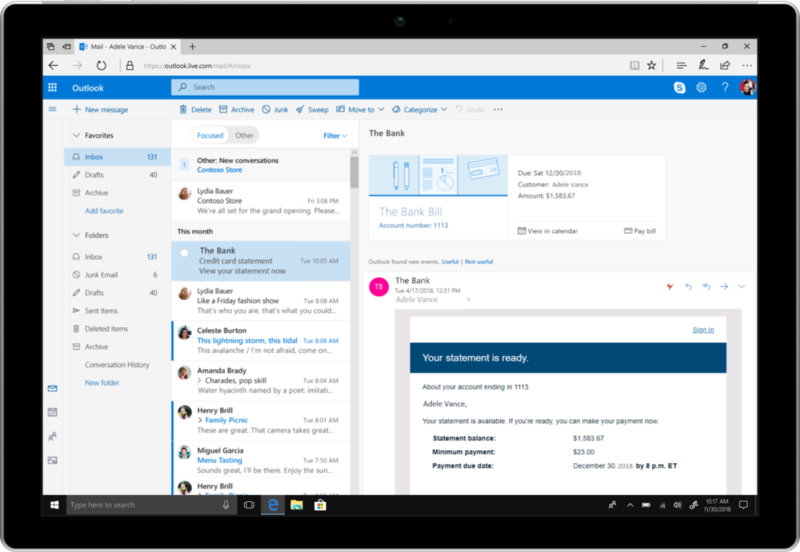 By keeping your message content in view, and a new reply box at the bottom of your screen, Outlook helps you keep the conversation going with a modern, chat-like experience. Coming to Outlook for Android May 2018 and later this summer to Outlook for Mac. Available in Outlook for iOS. Favorite people—We recently announced the ability to identify groups and email folders in Outlook, and soon we will add the ability to tag your favorite people. Keeping your key contacts front and center in your mobile search experience, as well as on top of your message folders, helps you quickly identify the right people to help you get more done. You will also be able to identify favorite people from Outlook on your mobile device, just as you can today from the web, and these favorite people tags will remain consistent, so you can find them on the web or on the go. Coming to Outlook for iOS and Android June 2018. Office 365 Groups for OneNote and meeting events in Outlook—Staying on top of what’s going on with your Office 365 Groups is made even easier with the ability to view your group events in Outlook, as well as access the group’s OneNote Notebook. You will be able to track events in the group’s contact card and simply launch OneNote from Outlook to access the notes your group compiled in its OneNote. Coming to Outlook for iOS June 2018. Block external content—Images embedded in emails may contain content that alerts the sender that you’ve opened their email. Tracking which emails are opened can be important to digital marketers. But if you don’t want this to be tracked, Outlook now helps to protect you and your inbox and block this external content. 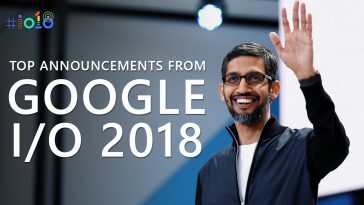 Coming to Outlook for Android May 2018. Single Office 365 account in Outlook—Respecting the data security and compliance policies of our largest and highly regulated customers is a key pillar to the Office 365 value. 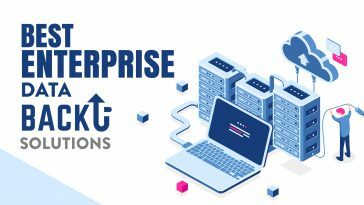 Some companies have a requirement to capture all communications information within their corporate environment. For company managed mobile devices, Outlook will help customers mitigate the risk of users copying information from their company’s Office 365 account to a personal account on a mobile device, or accidentally sending company information from personal accounts. Companies will soon be able to enforce corporate policies on their managed mobile devices to allow a single account in Outlook. Coming to Outlook for iOS and Android June 2018. Please be sure to watch the Office 365 roadmap for more information about our plans to roll these features out across additional Outlook experiences. And send us your ideas and suggestions on our UserVoice channel—we read all your feedback. 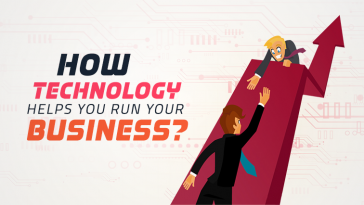 Previous article What is the difference between a Mobile App and a Web App?